Snail Games is a gaming company based in Suzhou, China, with a branch in the US, specializing online games with over 85 million account on sites like woniu.com for the Chinese market, and playsnail.com for the North American market. Snail is now planning to launch an Android 4.4 console called OBox Online at CES 2015. Internally, the gaming console is comprised of a motherboard, a processor board, an HDD board, and an optional multi-media board. Two processor board are currently available with variants of Nvidia Tegra K1 quad core 32-bit processor, and I assume it should be possible to upgrade the console with a more powerful processor and more memory in the future. (Main) Video Codecs – Decoding – 4K2K @ 30 fps for H.265/H.264; Encoding – 4K2K @ 30 fps for H.265. The console will run Android 4.4 Kitkat. A wireless gamepad called OBox controller will be included. It feature a using a 9-axis sensor with gyro and magnetometer, and can be used as an air mouse. The device is air cooled with a fan. The specs list the multi-mediaboard adds three HDMI output ports, but the document also mention support for “multi-channel on-screen video compatibility and recording function”, so at least one of these extra HDMI ports, if not all, could be HDMI In. Pricing and availability have not been disclosed, but based on the specifications it won’t be a low cost device, probably between $350 to $500+ depending on options. More information should be released at CES 2015. Thanks to Rafael for the tip. Looks like a beast and specs are awesome, hope it runs Linux + Steam. As a new owner of an Nvidia Shield Tablet, I can say that the Tegra K1 is a great SoC for gaming! There is a market for any flavor,definitely,look promising, good specification, almost a completed package; Terra k1,3 HDMI in/out,PVR capabilities, optional multimedia, game console, maybe Linus in the feature and more. 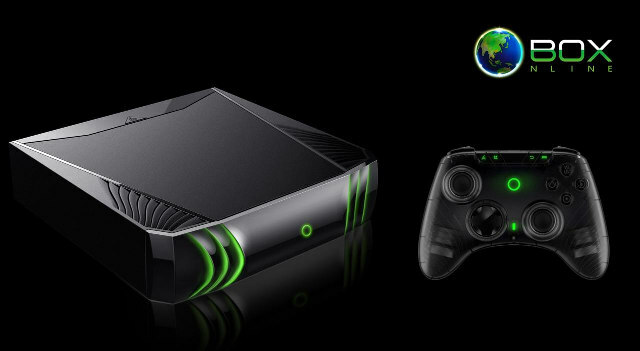 The new alienware steam game console almost same price,but windows machine. I want to see those two together in benchmarks and reviews. I don’t known why nvidia didn’t do something like this. Happy new year and you are welcome. so the same price as PS4/xone? but slower with less ram? I just guessed the price based on Jetson TK1 board + more RAM + casing + game controller + multimedia board + 512 GB to 4TB hard drive. The company has not announced pricing yet, so it’s always possible I’m wrong and it will be cheaper. I can see PS4 + 500 GB hard drive is $450. Xbox One without HDD about $400. @rasz_pl It’s a miniature gaming console with some of the highest specs in the industry, of course it’s going to be expensive. Having said that, cnxsoft was speculating. How much does the fastest smartphone cost, and is it more powerful than an Xbox One?